CommonGround Golf Course in Aurora is home to many programs and initiatives designed to use the game of golf for the betterment of the community. There’s the Solich Caddie & Leadership Academy, the Hale Irwin Player Program, all the activities that happen at the Kids Course, the Community Putting Green, and partnerships with organizations such as the Boys and Girls Clubs, Special Olympics, Big Brothers and Big Sisters, and Boys and Girls Scouts. That’s part of the benefit of a facility that’s owned and operated by the CGA, which highly values community and wellness programs. But sometimes in all of that, what might be forgotten is that CommonGround Golf Course is highly regarded as a championship facility. Since opening in May 2009, it’s hosted two CGA Amateurs, two CGA Match Plays and two CGA Women’s Match Plays. And, in addition to numerous USGA qualifiers, CommonGround served as the second stroke-play course for the 2012 U.S. Amateur that Cherry Hills Country Club hosted. 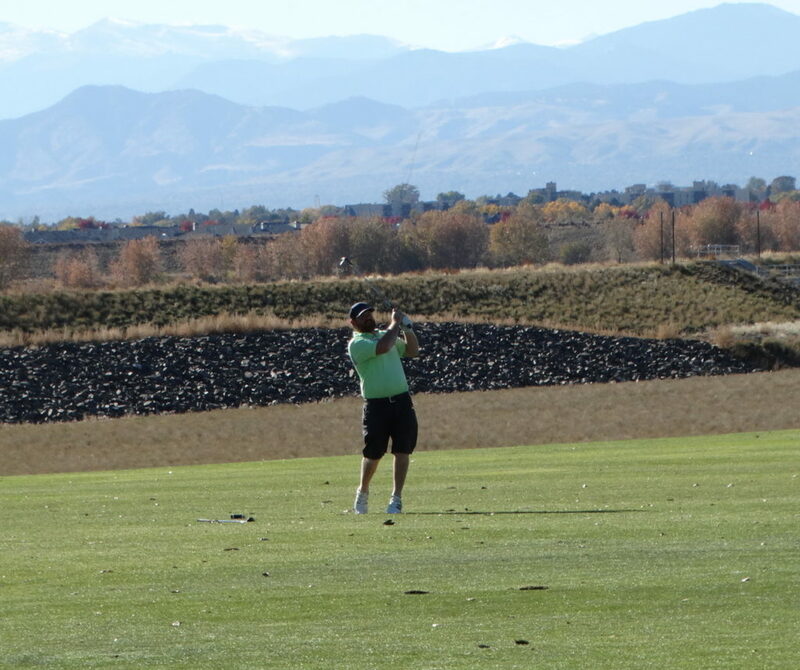 And now, after CommonGround celebrates its 10th birthday in May, it will be the second course for the stroke-play portion of the U.S. Mid-Amateur that primarily will be held at Colorado Golf Club in Parker Sept. 14-19. The stroke-play rounds for the event will be contested Sept. 14 and 15, with the 264 contestants playing one round at each course. Playing a major role in two USGA championships in less than 10 1/2 years of existence is quite a feather in CommonGround’s cap — and perhaps even moreso given that it’s a public course where close to 30,000 rounds of golf are played annually. “It kind of falls into one of the missions of the CGA — to have a course to host championships,” said PGA general manager Dave Troyer, who has helped oversee golf operations at CommonGround since it opened. “Tom Doak did a fantastic job designing a course that not only everybody can play and enjoy but is worthy of hosting national championships. As one of 59 designated Allied Golf Associations, the CGA has long served as a partner of the USGA, which, among many other things, conducts 14 national championships. Since 1981, that has included the U.S. Mid-Am, which is limited to players 25 and older. The only previous time Colorado has hosted this particular event was in 1983, when Jay Sigel won at Cherry Hills Country Club. CommonGround’s involvement this year “is a confirmation of a couple of things,” Mate said. “One, our partnership with the USGA, which is tantamount. It’s our mother ship, so we’re supporting the organization which we depend on. It’s also proof positive that we built a golf course that’s not only a laboratory for programming, but a place to play championship golf. It also shows that CommonGround is a great location. Being centrally located is key. When you look at the logistics of being a second course, you need to be somewhere close (to the primary host). During the 2012 U.S. Amateur, Cherry Hills — home to three U.S. Opens, two PGA Championships and nine USGA championships overall to date — actually yielded a lower score during stroke play than did CommonGround. 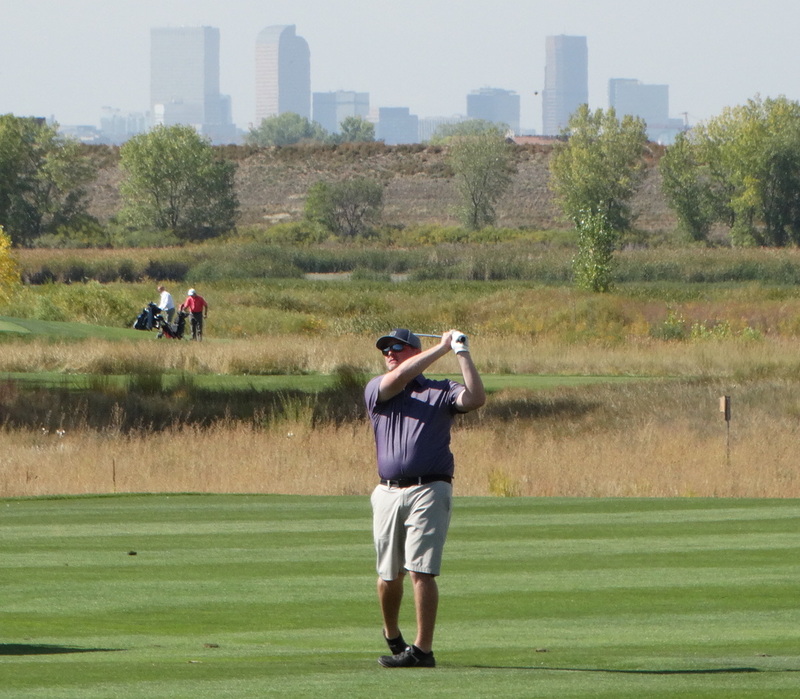 Bobby Wyatt shot a 7-under-par 64 at Cherry Hills during the opening round of the event, while 65 was the lowest at CommonGround either day of stroke play. “That’s one of our bragging points that we held up better than Cherry Hills because they gave up a 64,” Troyer said with a bit of a smile. The one championship tweak that CommonGround has undergone since the 2012 U.S. Amateur was adding a tee to the left of the eighth green to lengthen the relatively short par-4 ninth hole. The new spot will have competitors hitting their tee shots over the back of the 11th teebox. “Last time (during the U.S. Amateur), we used the back tee on 11 and played 11 (normally a par-5) as a par-4 just to create some separation,” Mate said. “But now we’re going to add another 20-30 yards. All of a sudden, getting it to the top of the hill (on No. 9) is more of a challenge for some of the field. Troyer said CommonGround won’t be playing much differently for the U.S. Mid-Am stroke play rounds than it does normally. However, in trying to get CommonGround in peak condition for the championship, course officials will be blocking off some additional time during the spring and summer for superintendent Bobby Martin and his staff to do extra maintenance without golfers on the course. 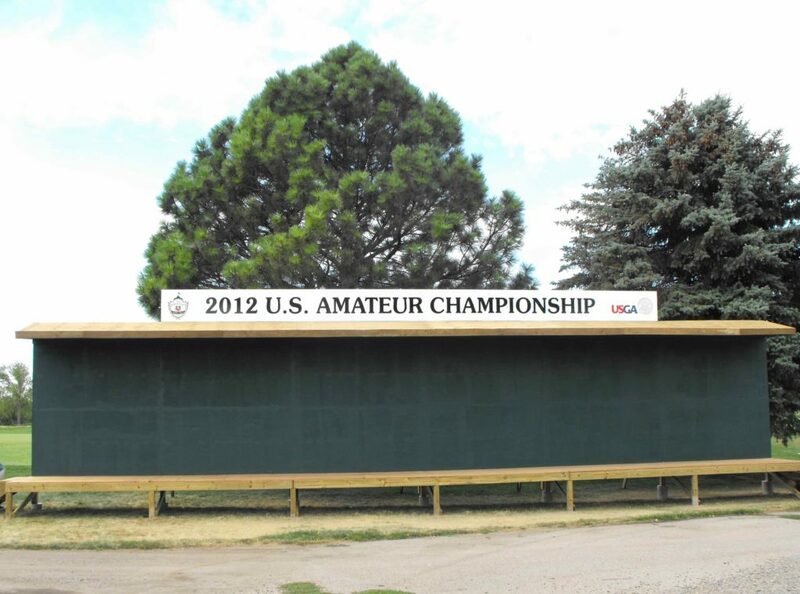 “I think it will be easier (preparing this year) just because we have a template from the U.S. Am” in 2012, Troyer said. “We’ve already got one under our belt, so the second one should be easier. It’s still going to be a lot of work, but at least we have a road map to follow this time. For more information about the 2019 U.S. Mid-Amateur, CLICK HERE.